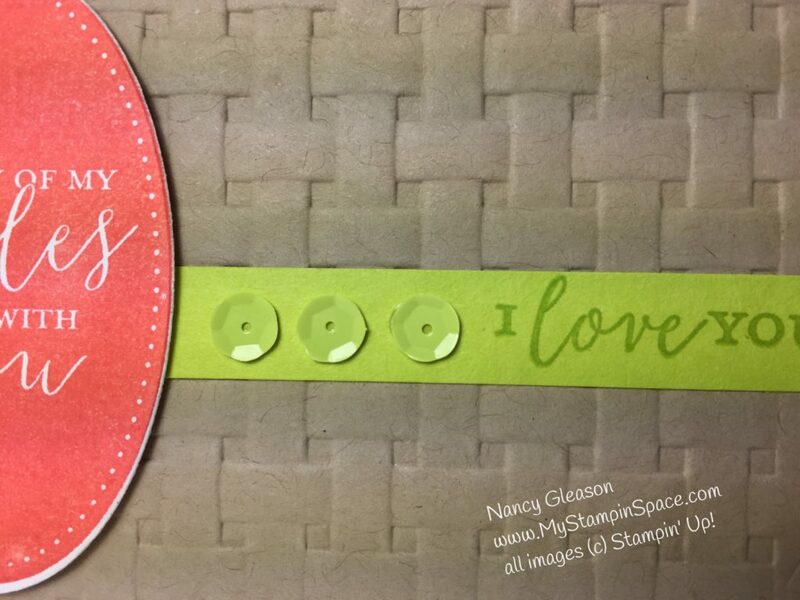 Nancy, we love to give you “love notes” and I think giving hubby one or two in his suitcase is a sweet idea as well! Now if my hubby would just go somewhere, I could do that too, LOL!!! I love the embossing on your card, I can’t wait to get my own folder, and it works perfectly with that lovely oval sentiment! 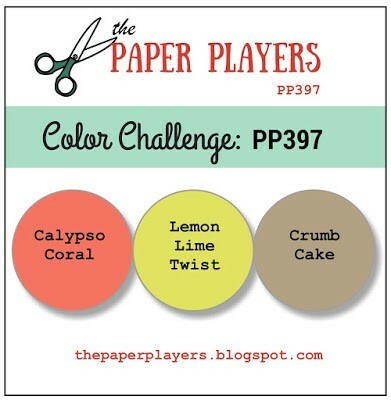 Great job using our Paper Players colors this week! LeAnne, thanks for the ‘love note’! If your hubby doesn’t go away, tuck a love note in his lunch box, or leave one on his pillow. He’ll be pleasantly surprised no matter where he finds it! I can’t wait to see what you design with the Basket Weave TIEF! I’m sure it will be lovely. Isn’t this a sweet little love note! I like the way you used Crumb Cake to ground the brighter colors and that embossed background is wonderful. So glad you played along with my colors at the Paper Players! Thanks, Nance! Hoping to be able to play along with you regularly. I’m sure your hubby loved this surprise when he found it. 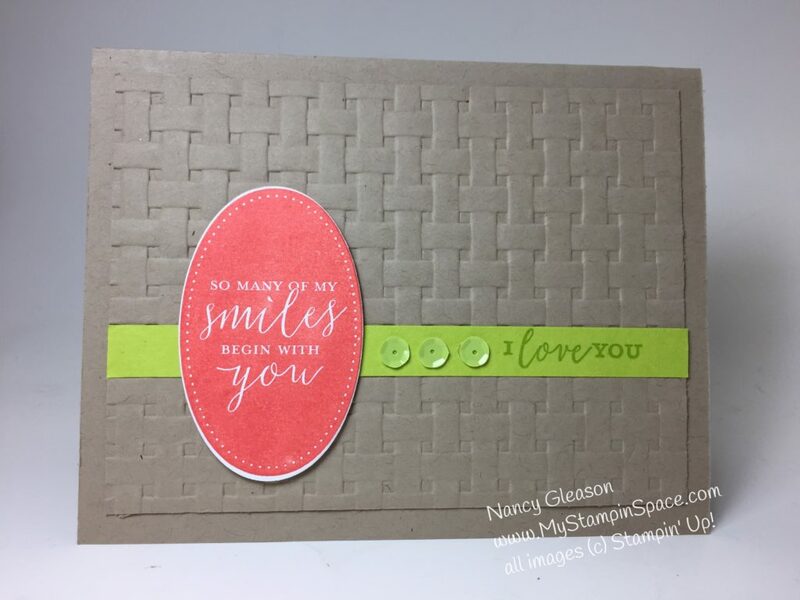 That embossing adds so much texture and interest but still lets your sweet sentiment pop! Thanks for sharing over at The Paper Players this week! Annie, thanks for your kind comments!